Watch the Royal Wedding: Livestream and Coverage on ABC! Robin Roberts and Muir will be joined by a team of reporters and royal experts, including "GMA" weekend anchor and "The View" co-host Paula Faris; correspondents Deborah Roberts, James Longman, Adrienne Bankert; contributors Imogen Lloyd Webber, Victoria Murphy, Omid Scobie and British biographer Andrew Morton, who will bring live reports of the arrivals, ceremony, carriage ride around Windsor and other festivities from various locations throughout Windsor and London. Freeform and ABC News digital platforms, including ABCNews.com and GoodMorningAmerica.com, mobile apps, social platforms and OTT services, will also simulcast the five-hour special edition. An additional hour of "GMA" will air Saturday at 7:00 a.m. PDT for the West Coast. 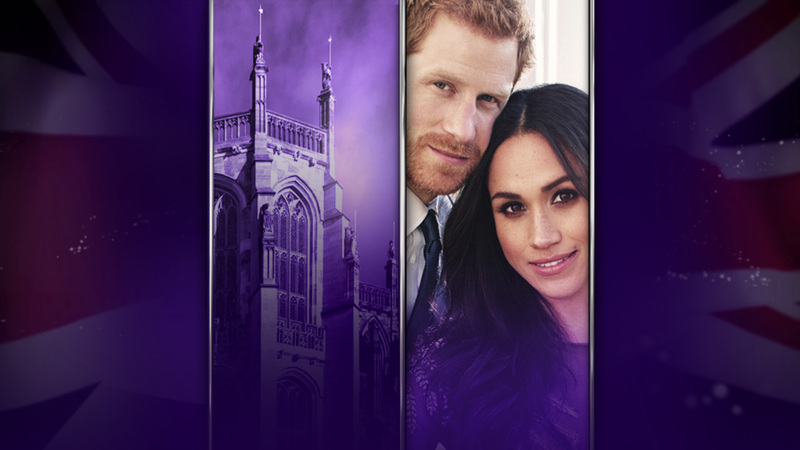 "20/20" will provide in-depth coverage of the royal wedding with primetime specials on Friday, May 18 (10:00 – 11:00 p.m. EDT), and Saturday, May 19 (10:00 – 11:00 p.m. EDT), with Muir anchoring and correspondent Deborah Roberts reporting from Windsor. On Friday, "20/20" takes a look at the two most important women in Prince Harry's life: his mother, Princess Diana, and his soon-to-be bride, Meghan Markle. The special highlights the similarities between both women and how Diana transformed the perception of the royal family and how Meghan, with her classic style, humanitarian work and career, is poised to redefine the role of royal spouse. The hour will look back on Prince Harry and Meghan's relationship and ahead to the last-minute details leading up to the wedding of the year and what the future holds. Saturday's special, airing just hours after the wedding, will recap the day's most memorable moments, including the vows, reception, fashion, the royal couple's first public appearance following the wedding and other inside details. The new augmented reality (AR) feature from ABC News will deliver a whole new way to celebrate the royal wedding. Available only on the ABC News iOS App, it gives fans the opportunity to take photos with a 3D royal carriage or pose next to a 3D Queen's Guard and share with family and friends on social media. The AR feature is available beginning the week of May 14. Coverage of the royal wedding kicks off with Faris reporting live from London, starting Monday, May 14, for "GMA," with the latest details as the world prepares for the royal wedding. "GMA" co-anchor Michael Strahan will anchor live from Windsor on Thursday, May 17, and will be joined by Robin Roberts on Friday, May 18.